Gorgeous villa tucked away on a quiet cul-de-sac! 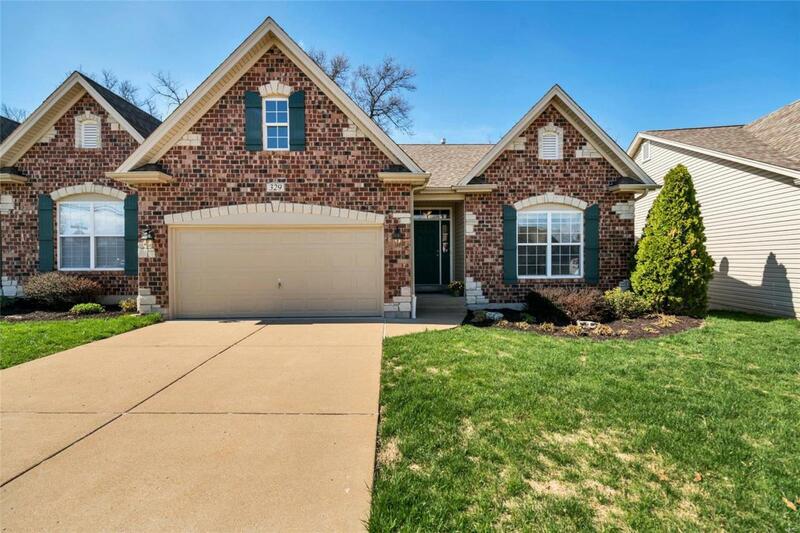 Beautiful curb appeal with brick and stone front. 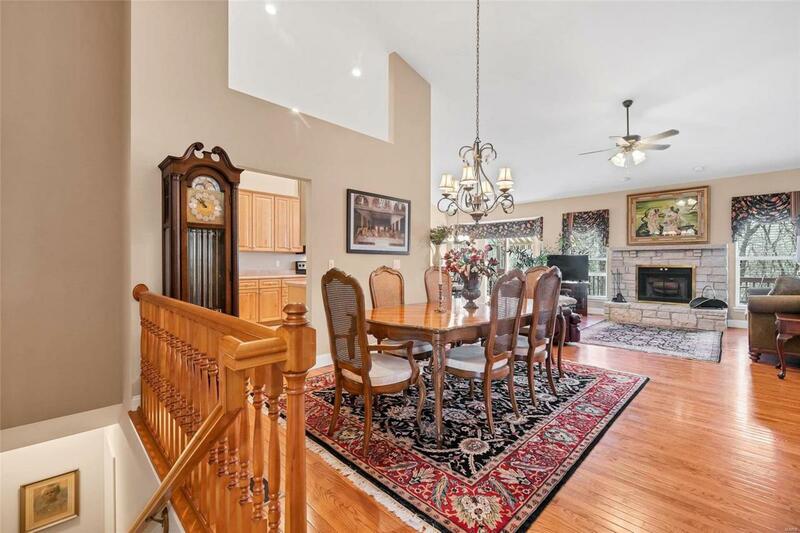 Open floor plan with vaulted ceiling, hardwood floors, large dining room, separate breakfast room. 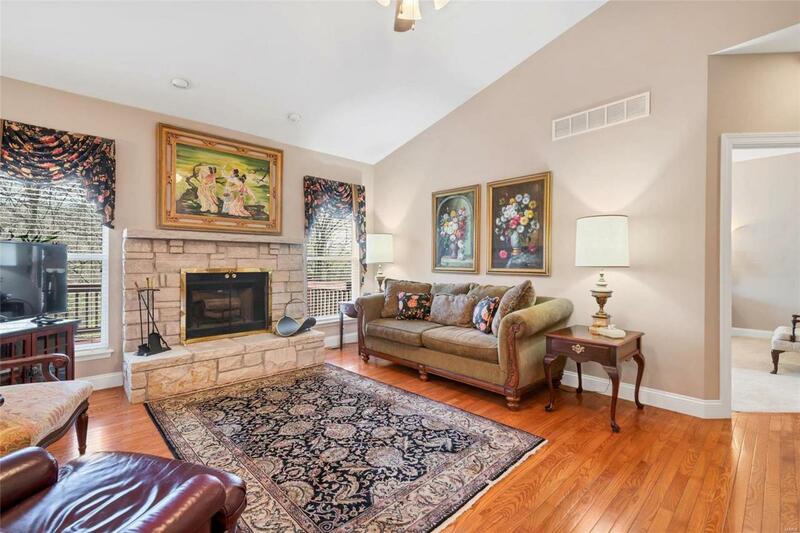 Great room features a wood burning fireplace with stone hearth. The kitchen has 42-inch maple cabinets, tile flooring, recessed lighting, stainless steel appliances, breakfast bar and pantry. From the breakfast room walk out to a spacious deck with retractable awning and enjoy the view backing to trees. Main floor master bedroom with bay window, coffer ceiling, and luxury bath featuring dual sinks, separate tub and shower, tile flooring, and walk-in closet. Second bedroom or potential study and full bath. An open spindle staircase takes you to the walk out lower level that is just waiting for your finishing touches with lots of natural light from windows and rough-in bath. Main floor laundry, two car garage, and more! 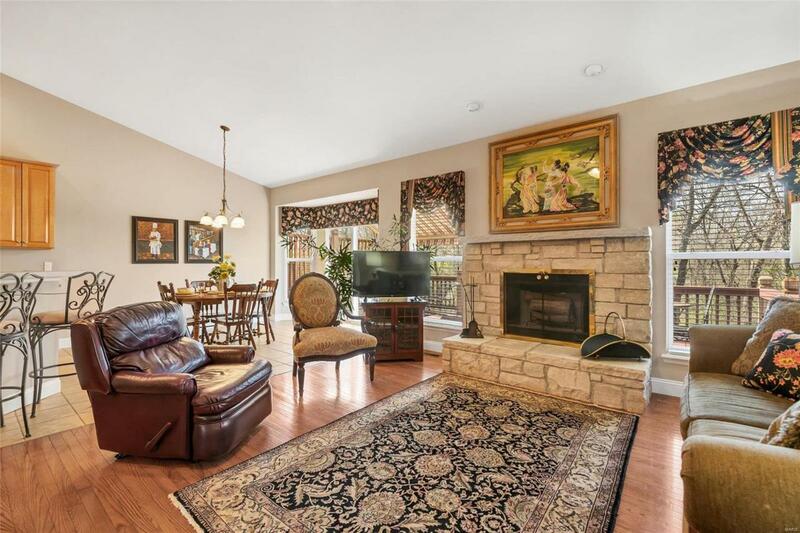 This home was gently lived in by one owner and is truly move in ready.